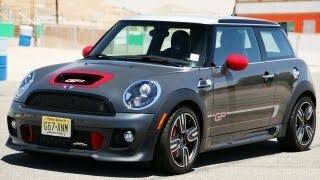 MINI has just revealed their latest Mini John Cooper Works GP 2013, and although the manufacturer has not revealed everything regarding the car's specifications, Nürburgring lap times are showing that the new JCW GP is the fastest Mini ever built. 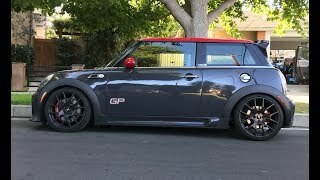 Unfortunately, the British manufacturer has not revealed any information related to the engine capacity and performances, but since the new contender is faster than any other Mini I suppose it's very safe to say the Cooper Works GP 2013 delivers more than 214 horsepower. In case you're wondering how fast the new Mini is compared to the previous version, suffice to say it made a Nürburgring lap 19 seconds faster than the Cooper S with John Cooper Works GP Kit. That means a total lap time of 8 minutes and 23 seconds, faster than the Volkswagen Golf Mk5 R32, the Ford Focus ST, Porsche Boxter S and 911 Carrera, Audi TTS Coupe, Nissan 350Z, BMW 335i E92 Coupe, Porsche Cayman S, Audi RS4, Jaguar XKR and the Lotus Exige S. The list could go on, but I think you got the point. 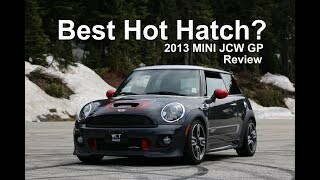 The Mini JCW GP 2013 is really fast, not only faster than any other Mini ever built, but faster than full-fledged sports cars, and that's an impressive feat. Other technical data revealed by the manufacturer is that the new Mini sports adjustable race-oriented suspension, special racing tires and brakes, but other than that, Miniengineers have been silent. The exterior of the new GP has been also modified for improved aerodynamics, and it now comes with a new roof spoiler, a rear diffuser, a unique and exclusive set of four-spoke wheels as well as unique badging kit and striping. As far as pricing goes, once again no information has been revealed yet, but we expect the manufacturer to shed some light on the subject later this year. 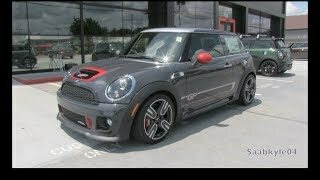 Unfortunately, the biggest disappointment for some is that the Mini John Cooper Works GP 2013 is a limited edition and only 2000 units will be built. However, Mini enthusiasts in the United States should be pleased to learn that an unspecified number of units will be shipped in the States as well.